To celebrate the 20th anniversary of No Code and a new chapter in the band’s history, Legacy Recordings reissues both No Code and Yield on 150-gram vinyl. This is the first time both albums have been available on the format since their original release—pressings that now command triple-digit prices on the secondary market—and the first time the albums are being mastered specifically for vinyl, by Grammy Award-winning engineer Bob Ludwig. Both albums will feature recreations of their original packaging. 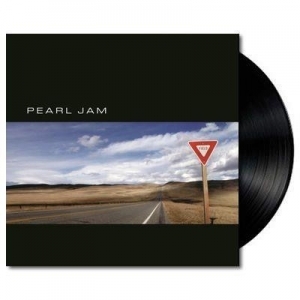 On 'Yield,' Pearl Jam and Brendan O'Brien teamed up once again for a spirited session marked by the breakthrough of band members (guitarists Mike McCready and Stone Gossard, bassist Jeff Ament and drummer Irons) bringing in finished songs for Vedder to add his signature lyrics to. 1 Side A - Brain Of J.